Occasionally, stories cross our feed that are so strange or ridiculous we struggle to define them by a category. These stories may sound like click-bait or fake news, but they actually happened. So, strap in because, oh, do we have stories for you. Man versus nature is a struggle relatable for many people. A taunting human gets drop kicked by a donkey or an unsuspecting tourist gets knocked flat by a kangaroo-comedy ensues. These videos were probably the last thing on Taiyo Masuda's mind when he and his friends were kayaking off the coast of New Zealand. Video of the trip would soon go viral when a fur seal that was darting around the kayaks suddenly emerged and flung an octopus that plopped against Masuda's face. Whether he was just trying to share or throw shade is still unknown. Whatever company you work for, there will always be some downtime. Employees will have a lazy day, the boss isn't around or there just is not a whole lot to do. Inevitably, someone will come up with a game that would be completely ridiculous if you weren't blowing off work to do it. Park rangers at Katmai National Park and Reserve know this better than anyone. 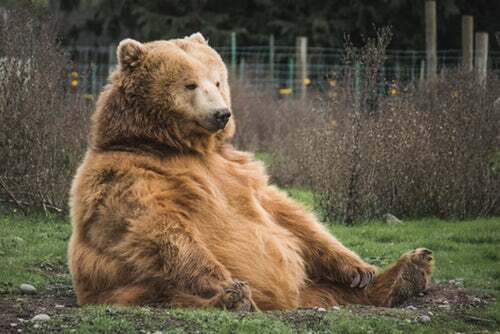 This year the winner was bear 409 Beadnose, a single mother trying to prepare for hibernation. It is no wonder a seal would smack us in the face with an octopus. Many states work hard to find a slogan that encapsulate who they are and and how they are known. Take South Carolina's slogan: 'Smiling faces and beautiful places,’ for example. The state slogan is the phrase that will lead the charge for drawling tourism into the state. We can’t fault them for being honest. We have all seen the gender reveal videos--you know the ones. The expecting parents pop a balloon, or shoot a target, and out flies an array of blue or pink signifying the gender of their soon to be bundle of joy. We have also all seen the much funnier videos of the gender reveal fails. When a couple tries to be their basic selves and just can't hit the mark. This was the case for off duty border patrol officer, Dennis Dickey. Gathered around friends and family, Dickey shot his rifle at a package of tannerite, an explosive powder that expels colored water vapor and a sound ripple. 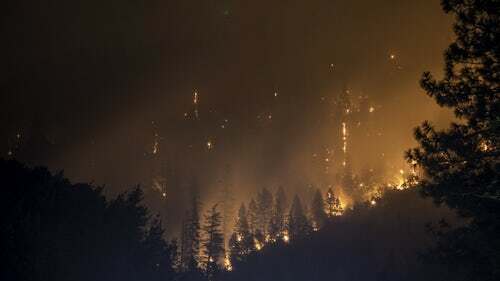 However, the explosion caused a fire that spread through 45,000 acres, racked up $8 million in damages and took 800 firefighters two weeks to quench. The result is the father to be receiving five years of probation and a court order to pay restitution beginning at $220,000 thousand.